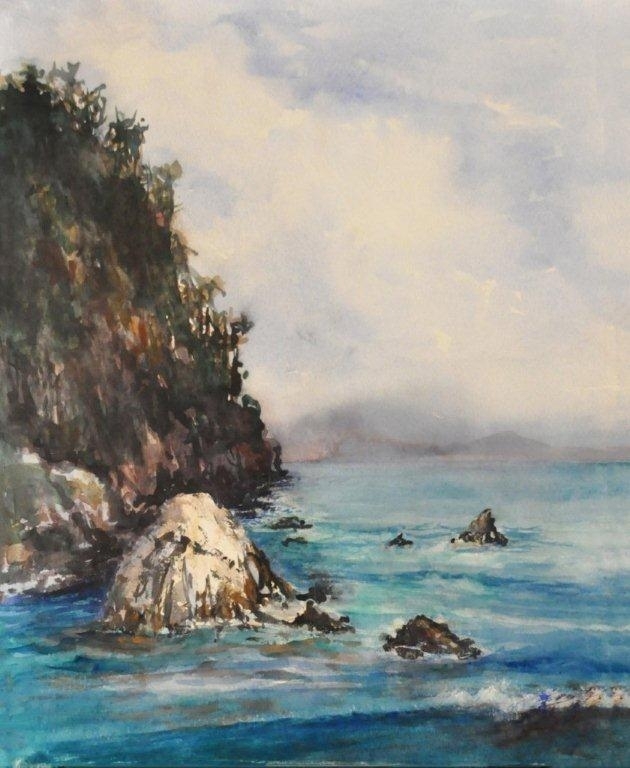 Watercolor, 16 x 20. 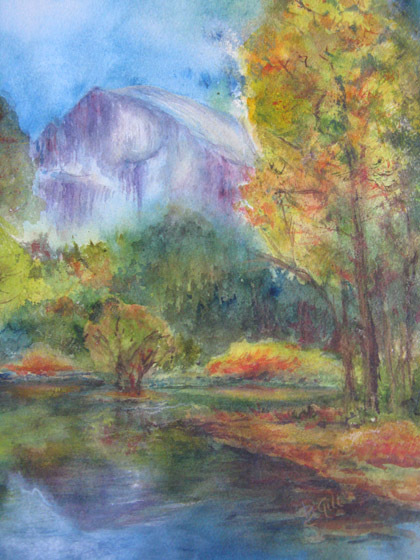 This painting was done from Cooks Meadow in Yosemite National Park. 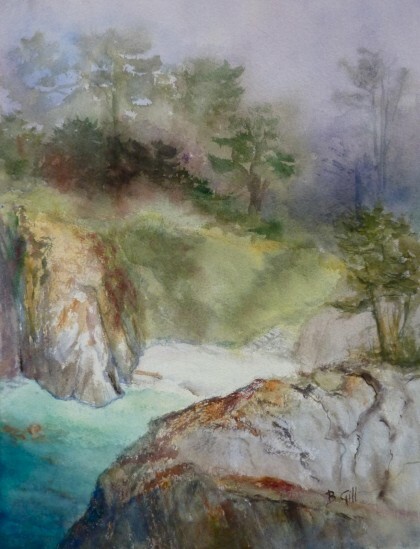 Watercolor, 16 x 20. 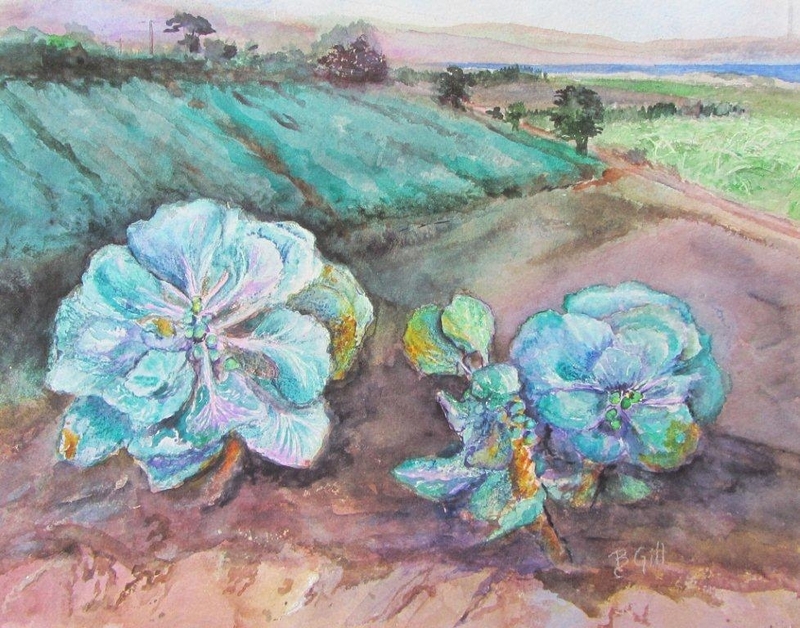 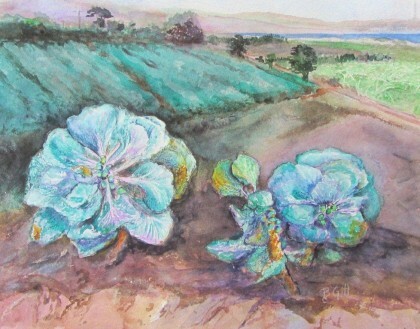 This painting was done at harvest near Moss Landing at Ocean Mist Farms. 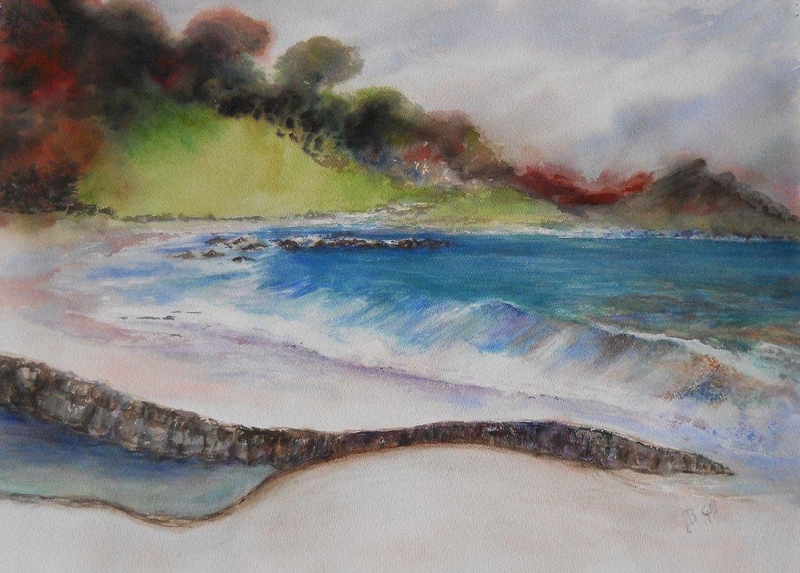 Watercolor, 16 x 20. 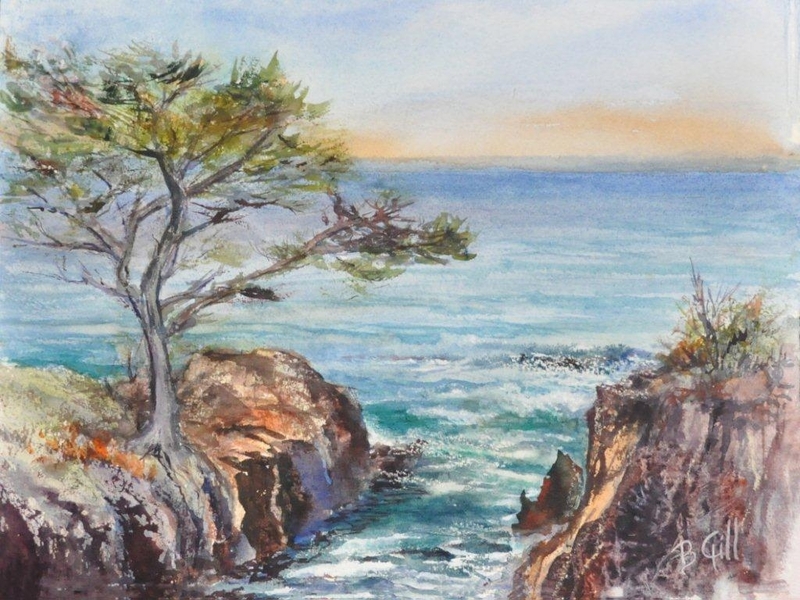 This painting was painted from Bird Island looking down into China Cove at Point Lobos State Park. 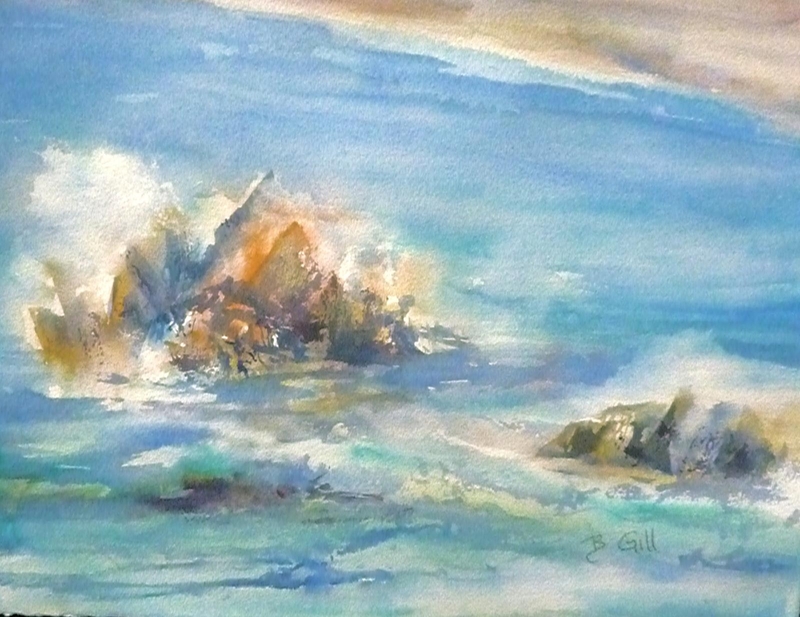 Watercolor, 16 x 20. Hidden Beach Trail was painted in Point Lobos State Park near Carmel, California. 28 x 36 inches, Watercolor. 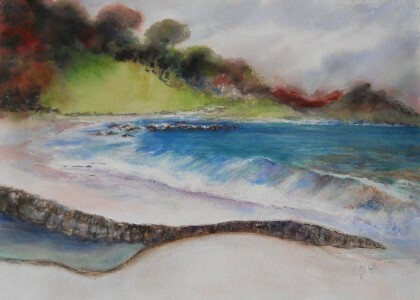 This painting is of Carmel River Beach the day after the great tsunami in Japan hit the west coast. 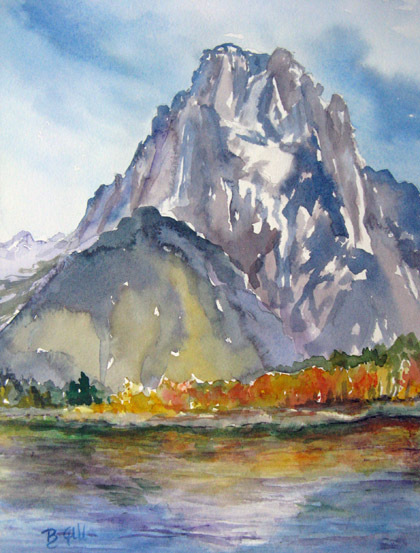 This 12x16 watercolor is from the banks of Snake River. 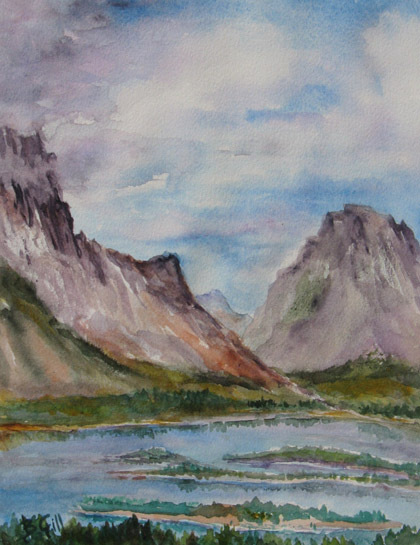 This 12x16 watercolor is from an overlook of the Snake River. 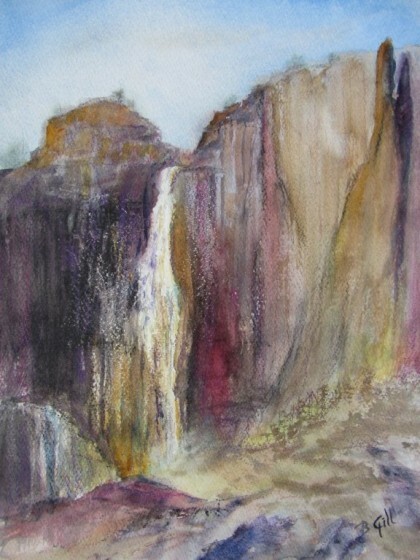 This 16x20 watercolor is of Half Dome along Merced River.